For years, retailers have looked for ways to influence shopper behaviour, from the early days of paper punch cards to sophisticated big CRM and ERP systems. Since then, loyalty programs have evolved from basic check-in solutions to more sophisticated check-in solutions that were able to communicate with shoppers via mobile app, text or SMS messages, and email. While such solutions garnered some initial traction, retailers still sought for greater understanding of their shoppers, particularly at the line item and SKU level in store transactions. Retailers face two critical challenges on their quest to leverage data for better shopping experiences: increasingly demanding shoppers and technology limitations. Shoppers—particularly Millennials—have become more informed, less tolerant, and increasingly demanding. Their ever-increasing ability to shop around, research, compare, share and explore alternative products, prices and options forces retailers to truly know their customers and understand their shopping motivations. 69% of consumers say their choice of retailer is influenced by where they feel most appreciated and can earn loyalty or rewards program points (Maritz). 79% of U.S. consumers who have “Liked” a brand on Facebook did so in order to receive discounts or other incentives (Nielsen). Regardless of whether the shoppers are Baby Boomers, Generation X, Millennials or even Generation Z, retailers must realise that all of their customers belong to Generation E (Expectations), where they expect to build a relationship with their favorite brands and be appreciated for their business in exchange for their loyalty. The industry’s technological landscape is comprised of web site developers, CRM and ERP providers, payment processors, network providers and many more. 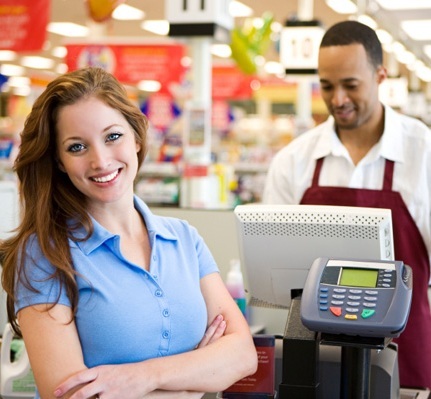 But the technology upon which nearly all brick and mortar retailers are still fully dependent is their Point of Sale (POS) systems, which are often highly fragmented and cumbersome. With thousands of different POS providers in the market and no true standardisation, many retailers struggle or fail to integrate multiple data sources and retail channels (Mobile, eCommerce, In-store), let alone empower the retailer to be more efficient. Stay tuned for the next blog post to discover ways to overcome these challenges!